In the video I’ll go over everything I liked and didn’t like; I’ll show you how it performs outside, some tips on flying, and some video from the camera on-board. If you have questions please leave them in the comments below I do my best to respond as quickly as possible! Syma did a great job with the X5C and the X5 (the only difference is the “C” model comes with a camera. 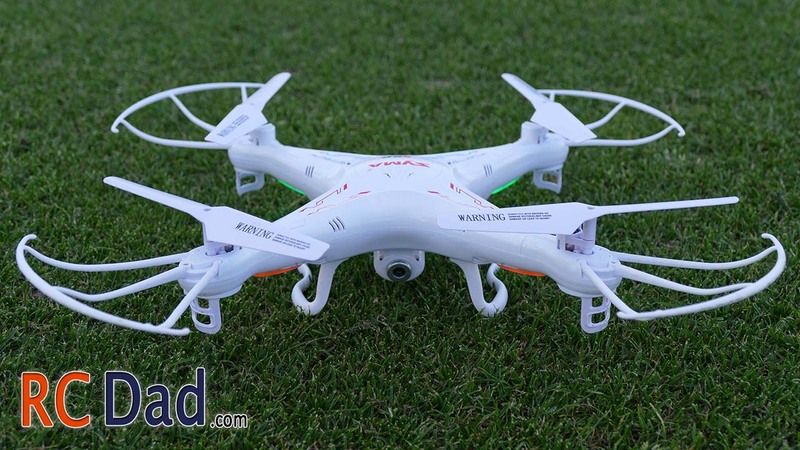 It looks a lot like the DJI Phantom and has a lot of the features that you would normally see on more expensive quadcopters. 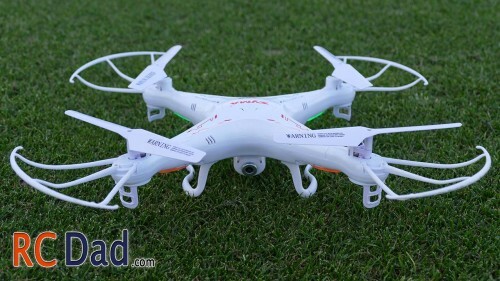 Now the DJI is an amazing quadcopter and there’s really no comparison between the two. DJI is hobby grade and the X5C is toy grade. 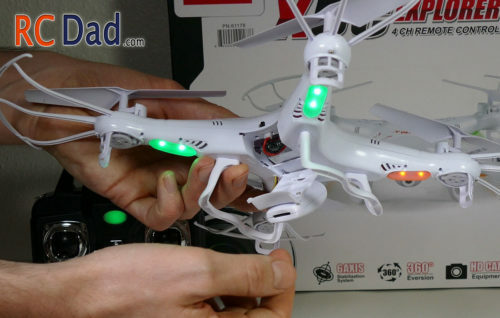 But for the price, I think it’s the perfect quadcopter for someone who wants to get as many of those premium features for the least amount of money or someone who’s wanting to learn to fly a more expensive quadcopter and want to learn on a durable inexpensive model. 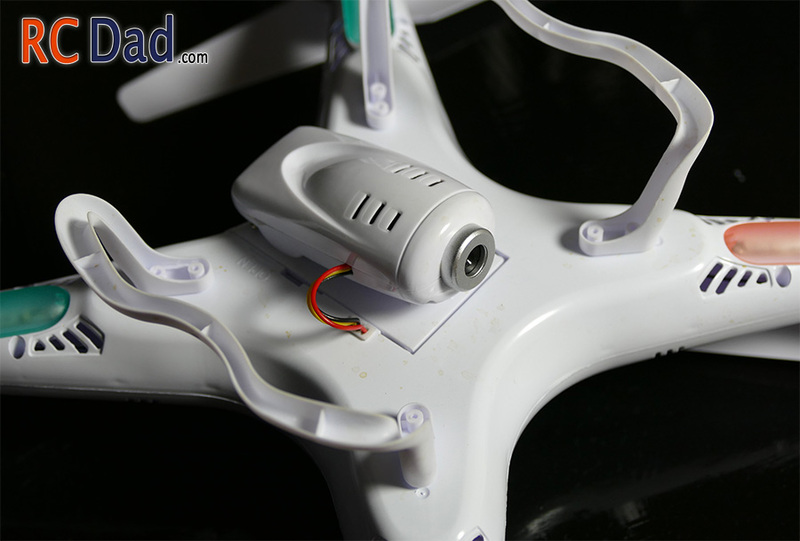 The landing skids and blade guards feel a little flimsy but overall this quad is very rugged. It’s so light weight that the parts can withstand harder crashes compared to heavier quadcopters. The blade guards do a pretty good job… They not only protect from walls and trees but also help protect the blades from rough landings and prevent them from hitting the ground. 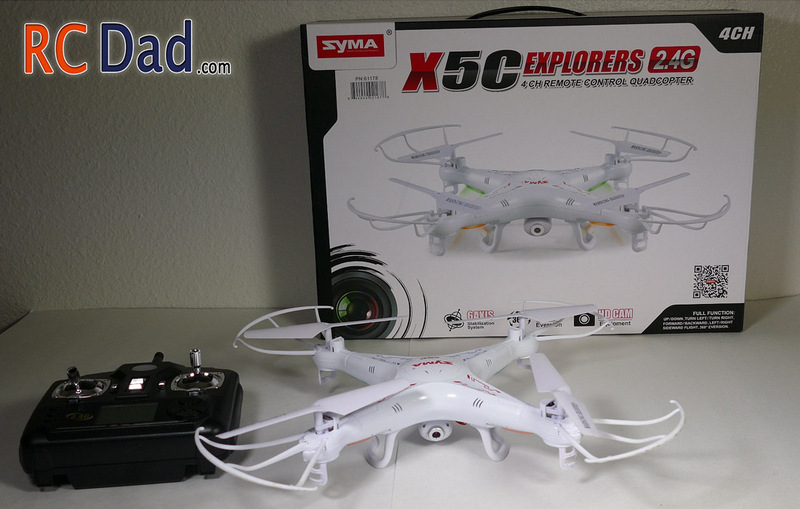 Getting the best performance from your Syma X5C Explorers. 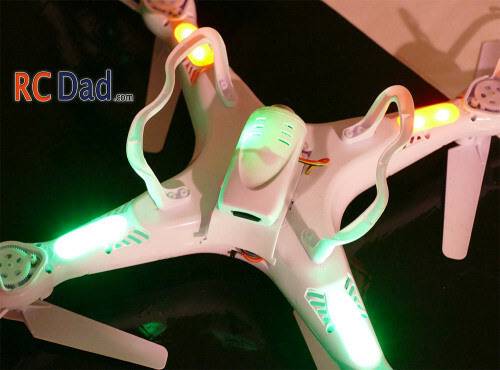 The blade guards add some weight and the quad will fly just a little better without them. They can be easily removed with just one screw. Next the camera can be unplugged from the body and then slid out from the battery door after you remove the 2 screws holding it in place. 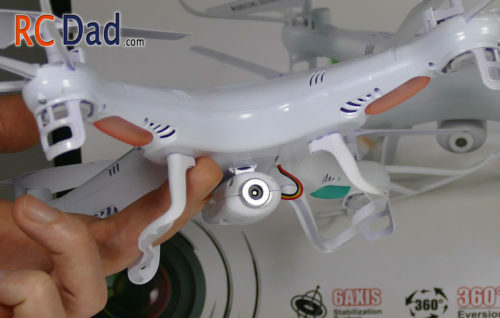 Last, the landing gear can be removed once the camera is out of the way for landing. The arms have built in skids to protect the body of the quadcopter. Once these 3 things are removed your Syma X5C Explorers will fly at peak performance! The battery compartment is well thought out. 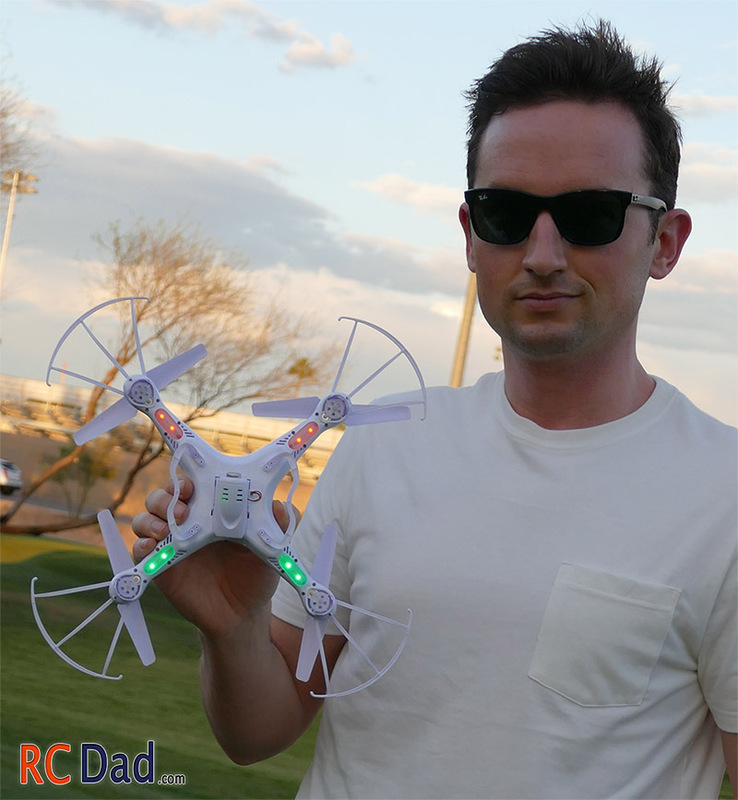 It adds a sleek professional look to this quad. Even if this is your first time flying, the Syma X5C will make a good beginners quadcopter. 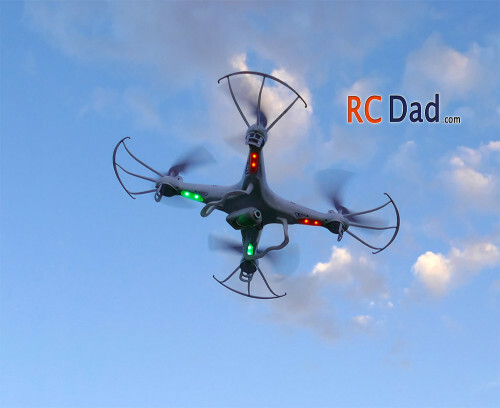 If you’ve been thinking about buying a DJI Phantom or Parrot Drone, get the X5C or the X5 and take a couple hours to really learn the flight characteristics. The bright green and red orientation lights on the bottom of the arms are a very nice touch. These lights help a ton when flying outside. The further away you fly, the harder it is to distinguish what direction your quadcopter is pointing. With airplanes, you have an obvious shape that can be seen at greater distances. What makes the X5C even better is the frosted covers that diffuse the light from the LED’s making it even easier to see. It’s a feature that Syma nailed with this one. 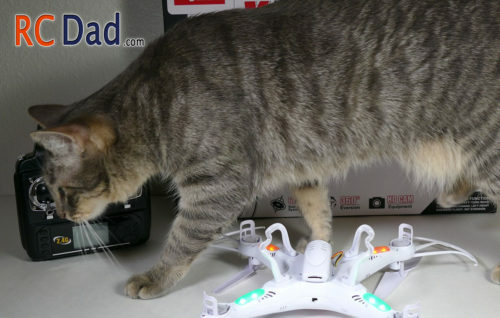 The camera is okay, it’s what I expected on a $50 quadcopter. I was hoping for a more of a wide angle view though! Unfortunately the camera is pointed down and if you’re too close to the ground it’s really hard to see what’s going on and it doesn’t do well in low light! If it’s a bright day and you’re flying high up you can get some decedent pictures and video footage. I really like how you can control the camera from the transmitter. To record and take pictures, press the trim tab on the throttle, which is the left side of the control, will activate the camera. Pushing the trim up will take a picture and pushing down will start the video. If you’re not getting clear footage, try turning the camera lens. It helped mine a little. To give you a comparison of a couple other HD cameras, you can view the footage from all 3 in the video. I review both the Mobius Camera and the Hubsan X4 on my channel so be sure to check those out! Mine came with a 4gig micro sd card even though it doesn’t say it’s included in the product description. I’m not sure if they only do that to some and not others but I’ve read that other people received 2gig cards so don’t expect it, but if you get one, it’s a nice little bonus. The 6-axis gyro is good. It feels pretty stable in mode 1 (the slower mode). Mode 2 it can really pick up speed so be careful when flying on windy days. I recommend taping a piece of paper with your contact information just in case the wind takes it away! A common way people lose their quadcopters is by flying up high and not knowing which direction its pointed. It seems obvious but when you’re high up fighting strong winds, it can be very disorienting and your quadcopter can drift away quicker than you think. You have to remember that as you fly above the trees the wind is stronger than what you feel on the ground and often times blows in different directions. 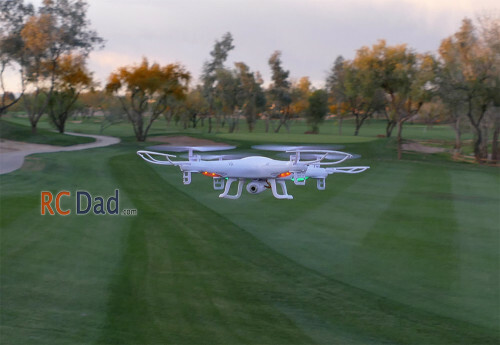 If you’re learning keep it low and over grass until you’re comfortable with the controls. The range seems overstated from what’s advertised. I’m getting around 20 meters, although I’ve heard that some people are getting close to 50 meters. I think it has to do with your terrain and nearby radio towers. 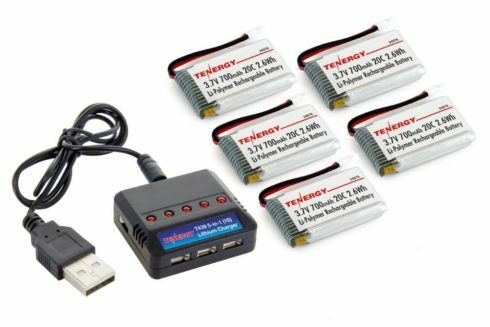 Spare batteries are very affordable at around 5 bucks a piece; I included links to where you can find the correct ones.